This weekend, the HSE Debate Team participated in their first National Speech and Debate Association tournament, Big Questions. 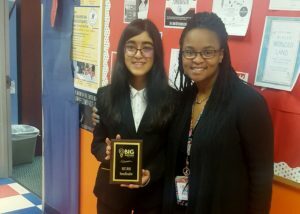 The HSE debaters, made up of middle school students, held their own against high school students who have years more experience. Zoya A. (7B) argued her way to the semi-finals and placed 3rd overall! We are very proud of the students listed below, and want to congratulate Zoya, the HSE team, and Coach King-Seifert on a job well done. On Saturday, the four HSE Tigers teams competed at the FLL Robotics Qualifier competition. Team Excellence (Fabian, Rafal, Muhammad, Terence, and Jayson) qualified for State by earning 3rd place OVERALL! 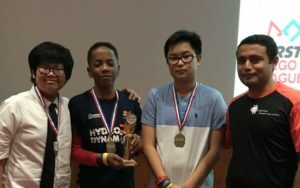 They also earned 1st place in Strategy and Innovation as well as 3rd place in High Score Robot Game. 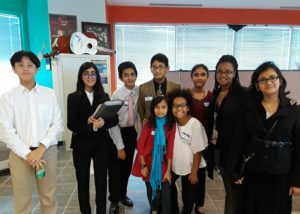 Team Anonymous (Rana, Shivin, Diego, Ahmed, and Alperen) earned 1st place for Gracious Professionalism Award. Team RoboParts (Kelton, Vincent, Bryce, and Jayden) earned 1st place for Inspiration Award. Team Lego Storm members are Sami and Ching. 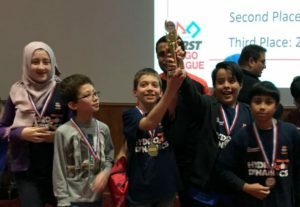 HSE’s rookie middle school FTC Robotics team, the Harmony RoboTigers, ranked 4th out of 29 teams in the FTC Robotics Qualifier 2017 this past weekend. Almost all the other teams were high school teams and had past competition experience. 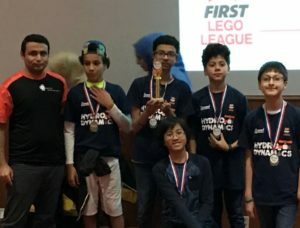 The RoboTigers won a trophy for 1st place in the “Motivate Award” category as well as 2nd place in the “Design Award” category. 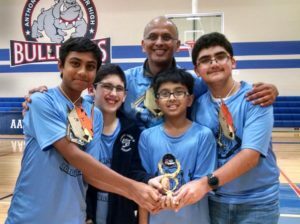 Congratulations to our participating team members Mirthun M(7B), Scott L(7B), Unsh R (7B), Mattin R(7B) and our coach Mr. Dhar!